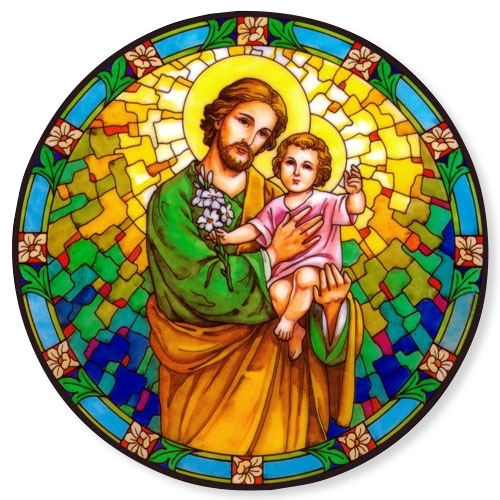 This bright and colorful St. Joseph with Baby Jesus static sticker clings to various surfaces such as windows, cars and mirrors. It can be removed, repositioned and reused. It makes a great inexpensive devotional gift for just about anyone. Care Instructions: Not recommended for outdoor use.